Well the holidays are finally over, 2017 is in our rear-view mirror and all of your unwanted presents have been returned.. So now what? Well it is back to work!.. and what better way to get back into the swing of things then talking search engines, algorithms and page rank? So lets start out 2018 by giving your websites SEO a much needed boost. Here are a dozen SEO tips that can have you SEO-ing like a pro! One of the most important things you can do to help improve your web sites SEO is to create more relevant content that is keyword-rich; The more keyword-rich pages, blog posts and content you have on your website the more there is for major search engines (like Google) to index and this translates into more traffic. It is very important that you make sure that any content you add is relevant and engages the user (so don’t just add content for the sake of adding content). Tip: Make sure you have enough relevant content on your website; If not, I suggest adding more relevant pages and blog posts to your website. It is recommended that you have least 300 words per page at the bare minimum. For better SEO results, a range of between 500 to 1,000 words per page is much more ideal and beneficial. Depending on the content of that page and SEO competition, a range of 1,000 to 3,000+ words per page could be required to rank effectively. 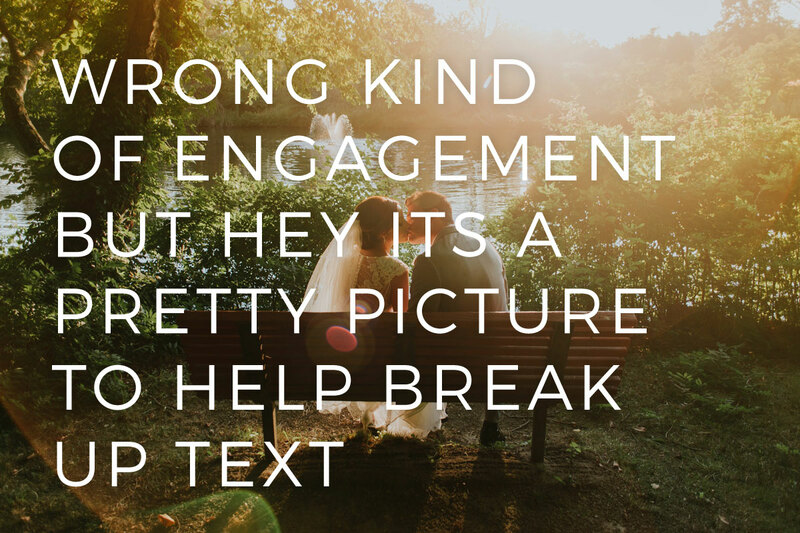 Don’t forget to use photos and videos to break up your text which helps with readability (especially if it is long). Remember, quality content is paramount; You can have a 5,000 word page but if its quality is low it won’t rank as well as you might expect. Tip: Make sure all of your existing pages have enough text and media content; If not, I suggest expanding them to between 500-1,000 words per page and doing this for any future pages or blog posts that you might add. Making significant changes or updates to existing content will help keep your website fresh, while adding brand-new content will demonstrate that your website is constantly growing; These are both factors that major search engines (like Google) use when determining page rank. If your website has been not been updated in months or even years then it might as well be abandoned from Google’s point-of-view and as a result will likely not rank as high as a website which is being updated more consistently. It is recommended that you update your website frequently, at the very least 3 to 6 times per year but closer to 12 to 24 times a year or more if possible. Tip: If your website has not been updated in a very longtime I suggest expanding existing content as well as adding new pages or blog posts. Make sure to make a habit of updating your website every-so-often so it does not go dormant again. When writing your content make sure sure to include specific keywords that someone would actually search to find a business like yours. Think: “If I was trying to find a local business that does or sells what I do, what would I search to find it?” The more specific your keywords the more effective they will be since there will be less competition when compared to more generic or broad keywords (so easier to rank with them). The best way to do this is by making your keywords geo-specific and focusing on your local area (although this is not always possible). Bad Keyword: "Acme Real Estate Company LLC"
OK keyword: "Florida Real Estate"
Better keyword: "Cocoa Beach FL Real Estate"
Tip: Make sure that all of your keywords are specific enough; If not, I suggest going through your existing keywords and making them more specific and more geo-specific (if possible). Every-time you add new content make sure to include relevant and targeted keywords (always doing so responsibly). Keywords should be added to page titles, URLs, headers, links, alt, meta and other style tags. Make sure your keywords are mirrored throughout your pages content (so avoiding “orphan keywords”). It is also helpful to include them whenever naming anything like new pages, blog posts or image files. Don’t go keyword crazy by adding so many keywords that your website will be viewed as nothing more than spam (so as always, be smart when adding them). Tip: Make sure that your website is effectively utilizing keywords and that they are mirrored throughout your website correctly; If not, I suggest going through your existing content and working them in (renaming things if necessary) as well as including them in any future content that you might add. Make sure to not go keyword crazy. Designate just 1 focus keyword for each page on your website; This is the primary keyword for that specific page. Just like with any keyword that you would use, make sure that it is both relevant and is included in that pages content. It is very important that the focus keyword is included in that pages title, first paragraph of text and URL. Don’t use the same focus keyword for multiple pages (so if you have 7 pages use 7 completely different focus keywords). Again, don’t go keyword crazy. Tip: Make sure you have a focus keyword set for each page of your website; If not, I suggest going through your existing content and adding 1 per page and including a focus keyword for any future page or blog post that you might add. Blogging is not only a great way to generate more relevant and keyword-rich content but it also helps keep your visitors engaged. Make sure to assign multiple keyword-rich categories and tags for each blog post as well as designating a featured image. The difference between a page and a blog post is that a page is more informational and a blog is more topical (so write about whats new with your business or industry). I strongly suggest adding at least 3-12 blog posts per year but more if possible. Remember, relevant and well written blog content is critical. Tip: Most websites are already configured with a blog but many people don’t even realize it and even if do it is often never utilized. First, check to see if your website already has a blog, if you are running WordPress then it already does. If you don’t have a blog then add one. Once your blog is ready-to-go, I suggest doing at least 1 blog post per month complete with categories, tags, keywords and images. Sign up for some popular social media sites like Facebook, Twitter, YouTube and Instagram. Make sure your website links to all of your different social media accounts (and vice-versa). Then frequently post keyword-rich and relevant content to your social media for maximum effect. Don’t forgot to have your friends and family help you out by liking and sharing your posts. Your social media activity can also be embedded directly on your website. Tip: I suggest checking and creating social media accounts then linking everything together. Make sure to utilize your social media by frequently posting to it. Find other websites and propose doing a reciprocal link exchange with them (which is, they link to you in exchange for you linking to them). Make sure that these are websites that can not only send you traffic but have high-quality content, are well designed, they don’t directly compete with you and have similar targeted keywords in common to yours. Be extremely careful because adding a link to a bad or spam website can actually hurt you. It is also a good idea to check in with them every year to verify the link, that the website is still online and that the partnership is still beneficial. Tip: First check to see if your website has any reciprocal links; If it does, I suggest reviewing them for quality; If you don’t, I suggest finding a few websites to partner with. Search engines measure user engagement by how much time a visitor spends on your webpage. This is why it is important to make sure all of your websites content engages them effectively and holds their attention. You can increase user engagement in many ways but the most effective is by having high-quality relevant content that the your users will actually want to read. Other helpful tips is to make text content easier to read visually (with shorter paragraphs, bullet-points, heading, etc), decreasing your bounce-rate, adding a comments section, harnessing social media and including images and other media like videos. Tip: I suggest reviewing your websites content then either updating, reformatting or rewriting it (if necessary). Make sure to include images or other media as you go. Keep the user engagement in mind when adding any future content. Advanced SEO is a one-time service that implements special techniques and software that can significantly improve your ranking with all major search engines (like Google). For a more aggressive approach, consider a monthly SEO service where trained experts continuously use their knowledge of how the ranking algorithms work to get you to the top of major search engines. Both options include tracking features so you can monitor success and trends. Tip: I suggest configuring your website with ASEO techniques and services. If that is not effective, I suggest speaking to and perhaps signing up with a trained monthly SEO expert. Make sure your website is mobile-friendly responsive as non-mobile websites are penalized when searches done from a mobile-device. Go through each page to verify link structure as well as making sure there are no broken links or missing images or media. If your website is built using WordPress, make sure that the software and all plugins are up-to-date and current. Verify that your website has an SSL and that each page is not giving an “insecure connection” warning. Finally, check your websites performance and speed to make sure you are not being penalized for a slow-loading website. Fear not! The experts at The Rusty Pixel are here to help with any of your website needs including SEO. 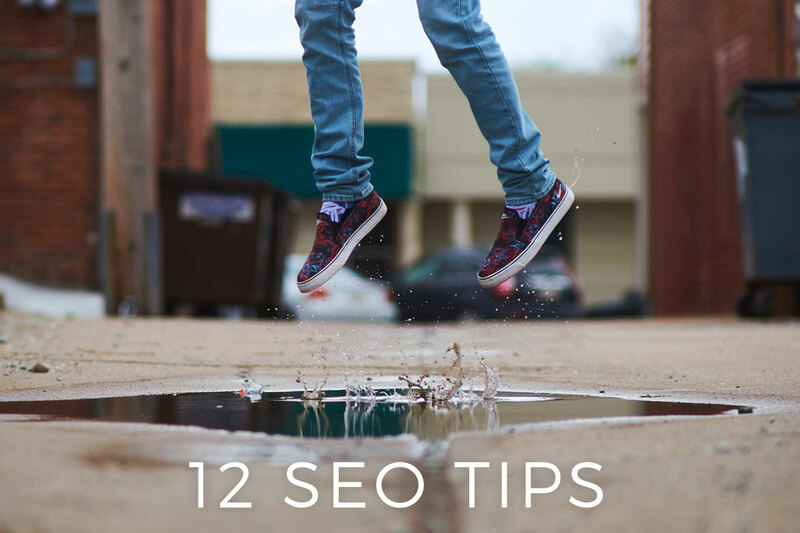 We can create you a brand-new website design (with these 12 SEO tips in mind) or improve your existing site ranking. Contact us today for a FREE project quote or if you have any questions.